Korean BBQ has truly come a long way from its ancient tribal origins to the point of global popularity that it is enjoying today. Given that Korean BBQ is close to all of our hearts, we believe that it just proper that we take a look back at how Korean BBQ, or at least the concept behind it, got introduced to the world. Today’s article will briefly feature the historical origins of Korean BBQ that you probably haven’t heard before. Some historians point out that Koreans descended from the eastern barbarians of Maek, a nomadic group of people who left their territory in central Asia to go east. This group of people eventually reached Northeast Asia where most of Korea is now situated. The Maek group brought a special kind of meat dish with them so they could have enough sustenance to survive the harsh elements that they expected to face during their movement. The name that they gave to this meat dish is Maekjeok, and the meat cuts involved in this dish had already been seasoned prior to cooking. The Maek’s cooking technique differed from the technique that was used to prepare typical Chinese meat dishes wherein the meat would only be seasoned after it has already been cooked. The logic behind the pre-seasoning of meat, we suppose, was for the Maek tribal members to save time in terms of food preparation given that they were regularly on the move. There was a point in Korean history when Maekjeok almost disappeared because the two ancient kingdoms, namely, Baekje and Silla, welcomed Buddhism. The eating of meat was generally prohibited during the reign of these two kingdoms given the prevailing religion, and it was only the members of very small tribes located outside of these two kingdoms that continued eating meat. It wasn’t only when the Mongols invaded Korea that the prohibition to eat Maekjeok and other meat dishes had been lifted. The trend of eating seasoned meat before being roasted or grilled over open fire eventually spread throughout the entire Korean peninsula and got widely adopted by the locals. Aren’t we all glad that Korean BBQ withstood the test of time and that we are still enjoying its goodness up to this day? Feel free to share this historical information about Korean BBQ to your family and friends. If you want to experience a hassle-free shopping experience of your favourite Korean BBQ meats, side dishes, sauces, and equipment, then Korean BBQ Online is here. Check out our menu so you can start ordering today! Marinades are expected to seep in to the innermost portions of the meat, so make marinades that are thin in consistency. A typical marinade-to-meat ration is half a cup of marinade for every pound of meat. This rule is not set in stone though because you can obviously use a bit more marinade than the prescribed amount. Perhaps you’ve read in some recipes that you should marinate your meats at room temperature. The danger of following this advice is that the bacteria on the meat can quickly multiply in warm environments. That said, we suggest that you marinate in an environment where the temperature is cold to avoid the risk of food contamination. An example is to marinate your Korean BBQ meats in your refrigerator. 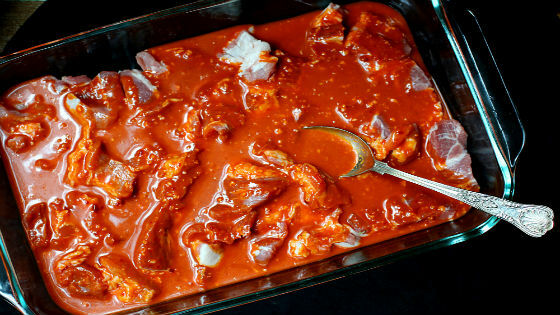 Given that most Korean BBQ marinades are acidic in nature, then do not marinate your meats in a metal container because acids react with metal. Instead of using metallic containers, we recommend that you use glass containers or plastic bags. Marinating your meats in a re-sealable plastic bag where all of the air is blocked out will allow your meats to get soaked completely into the marinade. The cut, type, and size of the BBQ meats that you have will affect the length of time it takes to marinate them. Pork, beef and lamb usually take two to four hours, or sometimes even overnight. This also applies to poultry like chicken. Also, it is not true that a meat’s shelf life will get extended simply because you marinated it. Never use marinades that have been unused to avoid food contamination. You can also prepare two batches of marinade for your uncooked and cooked meats. If in case that you do need to use some of the marinade that you have used on the uncooked meats, then you can always boil your marinade for at least six minutes to kill all the unwanted bacteria. Are your Korean BBQ meats for your marinades ready? Check out Korean BBQ Online today because we offer a lot of non-marinated meat choices that will surely go well with your marinade. We hope to serve you soon! Koreans call Korean BBQ as gogigui, which when translated to English means “roasting meat”. So impress your Korean loved ones and friends next time when you invite them to a Korean BBQ feast at your house next time. You now have a brand new term for Korean BBQ to use! One of the best characteristics of Korean BBQ is the way it emphasizes balance. A typical Korean BBQ meal set, for example, might appear heavy on meat, but then you will eventually notice the vegetable banchans that are served on the side. Another example is that in traditional Korean cuisine, pork is considered as a “cold” food even though it is hot when you eat it. To balance out the taste, people then add some “hot” ingredients like chilli or even chives to spice up the flavour. Korean BBQ meals are not complete without banchans, those delectable side dishes that range from brussels sprouts to tofu. According to a lot of Korean foodies, the number of banchans served in a typical meal emphasizes the status symbol shared among the meal partakers. If you will get an experience in a lifetime and have a Korean BBQ meal with an ambassador or dignitary, then expect more than 20 banchans to be served on your table. 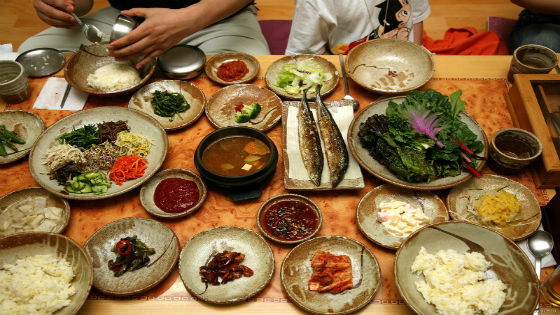 There are some reports that say that a Korean meal with a king would entail at least 100 banchans. Imagine seeing that many side dishes? A Korean BBQ lunch or dinner with your boss or with the parents of your future spouse or wife would usually require more than five. 4. Rice paper wraps are in! Of course we are well too familiar with shiso and lettuce leaves as the ones we use as wraps whenever we eat our delicious serving of samgyeopsal. However, there’s an emerging trend lately where Korean BBQ diners use rice paper as their preferred wrap for their Korean BBQ meat. 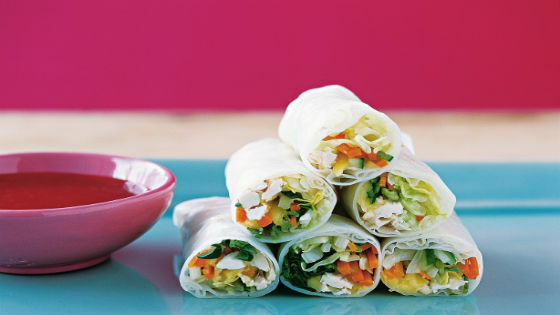 If you want to try something new with the way you eat your Korean BBQ, then give rice paper wraps a try and see how it will suit you! So you do not eat meat? Don’t fret because vegetarians like you can still enjoy the awesomeness of Korean BBQ without having the need to down those pieces of grilled pork and beef. How does grilled eggplants, squash, potatoes, peppers and other types of vegetables sound to you? Fresh vegetables are also often served as side dishes in a typical Korean BBQ meal so being a vegetarian should not stop you from enjoying the communal joy and satisfaction that a Korean BBQ experience delivers. 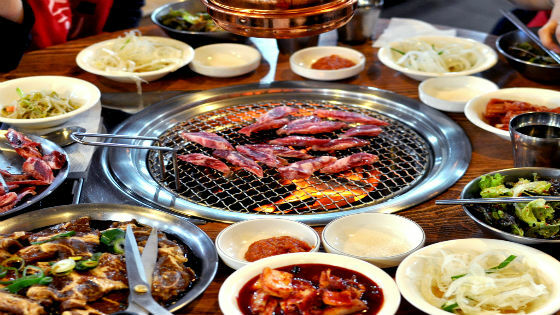 Do you have other uncommon Korean BBQ facts that you wish us to know? Spill them all below. As always, Korean BBQ Online is here to address all of your Korean BBQ needs. Give us call or shoot us an email today so we can help you achieve the best Korean BBQ experience ever. It’s impossible to enjoy a Korean BBQ meal without the presence of a diverse range of mouth-watering side dishes. These sides are just perfect to provide balance to a typically meat-heavy Korean BBQ feast. 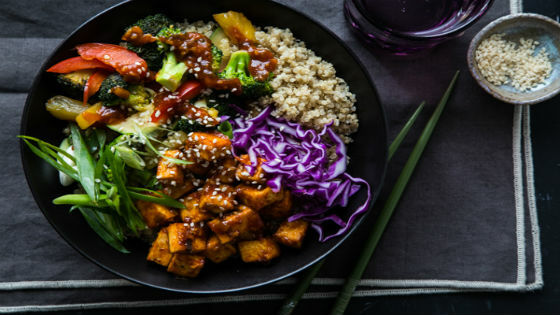 However, there are some side dishes that are way healthier than others given the way they are cooked and the ingredients that are involved in each dish. For today’s article we decided to give you a rundown of some of the healthiest Korean side dishes that you can order or even prepare yourself. Trust us: your body will thank you for eating these sides! 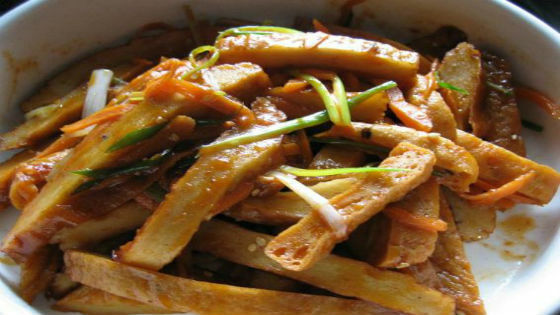 The most well-known Korean side dish that is served in almost every Korean meal is actually teeming with good bacteria due to its fermented nature. These good bacteria promote healthy digestion, strong immune system, and improved cardiovascular health. Kimchi is also rich in anti-oxidants, and we all know what that means: anti-cancer! It helps your body in eliminating free radicals and unwanted toxins. Kimchi may be pungent, but I hope these benefits will encourage you to munch more of it! This radish salad is also a big hit among Korean foodies because of its perfect sweet-spicy-salty combination and its flavourful lightness. Radish is also rich in fibre that helps in body detoxification and promotes healthy metabolism. Eating a generous serving of saengchae is also reported to help in one’s weight loss, improve skin conditions, and prevent urinary tract disorders. Such a healthy yum! 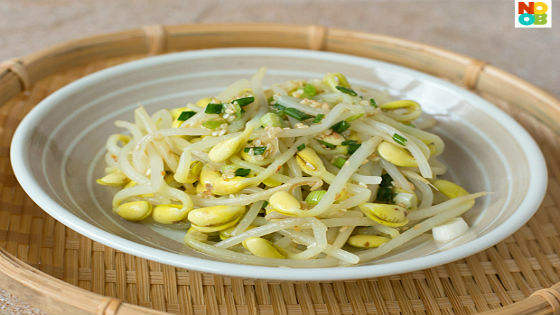 What can you expect from this mineral-rich soybean sprouts salad? Well, you will get a healthy dose of Vitamin C that is necessary for your body to eliminate free radicals, folate to keep your blood healthy and free from blood diseases like anemia, and also a decent amount of protein, fibre and carbohydrates. 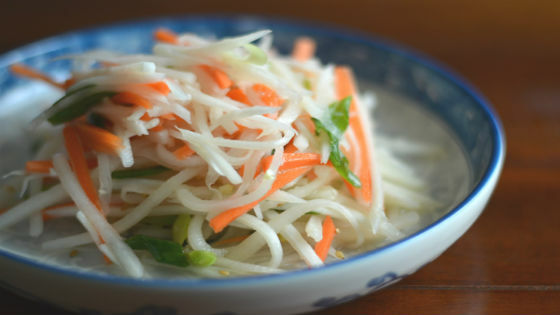 And did we mention that it can get pretty addicting eating this healthy side dish? 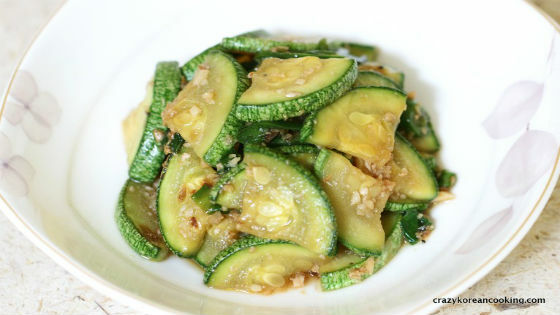 This zucchini salad might be typically spicy, but it is loaded with nutritional benefits that should convince you to endure its spiciness. Zucchinis are good for your eyes and can boost your Vitamin C levels in your body. This vegetable has even been reported to alleviate or even cure asthma! 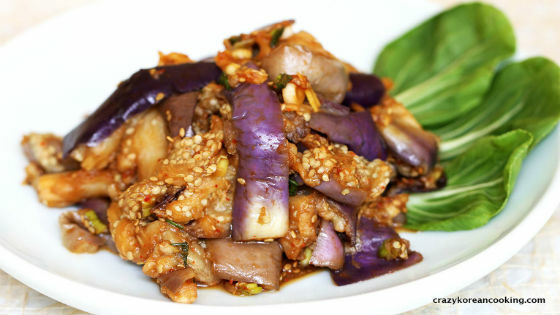 If you love eating eggplants, then this side dish, which is usually served with healthy, flavourful herbs, is going to be your jam. Its arsenal of fibre, manganese, Vitamin B6, potassium, folate and a lot more nutrients and minerals will keep your heart healthy, weight in check, and blood in tip-top condition. Korean BBQ Online is always up and running to serve you by delivering the best-tasting meats and sides for your Korean BBQ feasts. Drop us a line today! Meat lovers surely do enjoy partaking in Korean BBQ feasts, and they can’t be blamed for it given the amount of pork bellies and beef ribs that are involved in the process. But that doesn’t automatically mean that we all know everything that there is when it comes to cooking meat the Korean BBQ way. For today’s article we have compiled three things that everyone should pay attention to when grilling meat in a typical Korean BBQ feast. Aren’t we all for saving time and making sure that our Korean BBQ meats taste so fantastically awesome? Traditional Korean cuts are served in thicker chunks and will take longer time to cook. 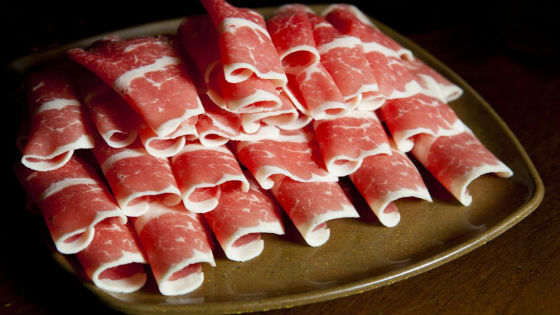 On the other hand, LA-style cuts are usually thinly sliced. It is always recommended that you start cooking the thinly sliced meats, particularly bulgogi, because they obviously cook faster. Also, good cuts make up for best-tasting meat. For example, an outstanding cut of beef is the secret to having a savoury serving of bulgogi. If you don’t have the budget to purchase premium cuts of meat, then just look for marbled beef or those that have high visibility white flecks of fat to have more tender pieces of meat. If you prepare your marinade well and you marinate your BBQ meats properly, then expect a tremendous heap of praise from your Korean BBQ feast peers. 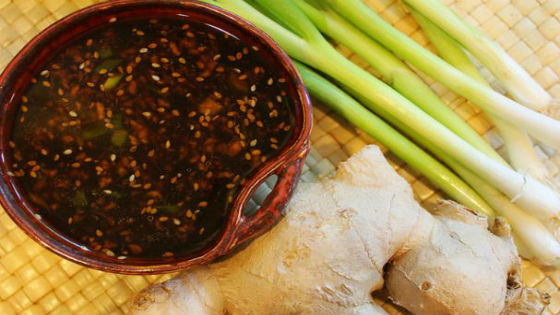 Typical ingredients for a Korean BBQ marinade are soy sauce, water, onions, garlic, and sugar. But of course you can experiment and do your own secret marinades to impress your loved ones’ foodie hearts. The length of time to marinate the meat depends on how thick the meat is. Three to four hours is enough for meats that are 4-5 mm thick. Any cut of meat that is thicker than 5 mm will usually take 6 hours or more (sometimes, even overnight). Thinly sliced meats that must be marinated overnight would often require a marinade that has equal parts soy sauce and water. Korean BBQ is definitely a fun communal experience, but smoke coming from the BBQ grill can be bothersome for many. Although a lot of people believe that grilling over charcoal produces the best-tasting meats, too much inhalation of charcoal smoke can lead to carbon monoxide poisoning. Fortunately, there are hot plates with portable gas stoves that are available that will make your Korean BBQ feasts still fun but without the smoke. Do you have other tips to share to everyone when cooking meat the Korean BBQ way? Post them as comments below. Don’t forget to check out Korean BBQ Online today, your best source of top-quality Korean BBQ meats and equipment in Sydney! Koreans are not only known for their magnificent cuisine; they are also acclaimed for their tremendous work ethic. This does not come as a surprise anymore considering that Seoul is one of the most progressive and dynamic cities in the world. However, this does not mean that passionate and goal-oriented Koreans do not know how to play harder. 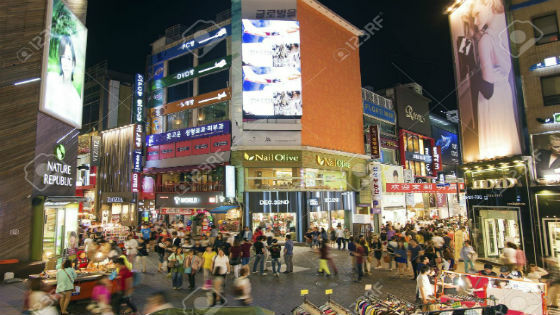 In fact, you’ll immediately notice when you get to visit Seoul that its night life is not just bustling but also thriving. Nothing beats the feeling of being able to shop until you drop as the cool and crisp evening air touches your skin and you are in the midst of fellow shoppers who are on the hunt for the best shopping and food deals. 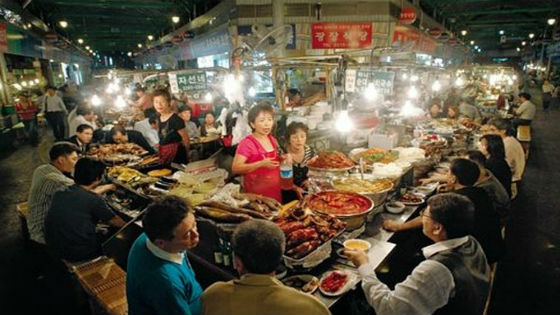 If night shopping is your cup of tea, then head out to Dongdaemun night market when you are in Seoul. Strolling here at night is just awesome because of the bright lights and live entertainment that you will see. Yellow tents for the open market are also yours to explore as it features a wide array of shopping items of clothes, shoes, leather goods, street food, and almost anything that you can think of in usually discounted prices. Koreans love food so much so this is a already a no-brainer. Spend your weeknights trying out some of the innumerable food spots that make Seoul as one of the food capitals in the world! Korean BBQ is definitely one of the most popular choices, so don’t hesitate to get some grilling action to taste some of the most tender and flavourful galbis and samgyeopsals that you can ever have. Or if you’re feeling tired of going outside, then hosting your own Korean BBQ feast at home is also a great option. Happy friends, amazing merrymaking, and great stories to be exchanged – we are sure that your night will truly be unforgettable. Who says that Koreans don’t know how to party? 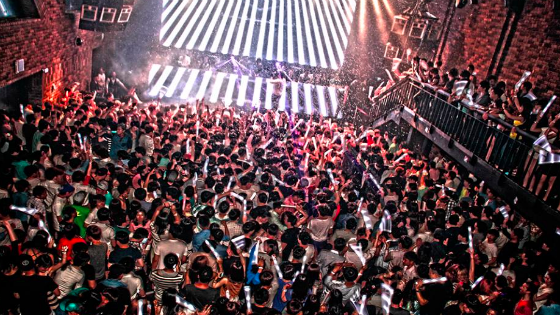 Seoul actually has some of the biggest and best clubs in the world, so Koreans definitely know to party the night away. Some of the most popular nightlife districts in Seoul with the diverse mix of bars and pubs are Itaewon, Sincheon, Hongdae (hipster district), Apgujeong and Gangnam (there’s a reason why Gangnam Style song/dance craze became such a global hit). Feel free to roam the streets of this district to get to meet new people from all walks of life, locals and foreigners alike. As a tip, most clubs in Seoul start their activity at around 12 midnight! Koreans have been reported as one of the biggest consumers of alcohol in the world, so expect a lot of drinking during social gatherings in Seoul! The most famous alcoholic beverage in Korea is soju, a Korean rice liquor that usually has around 20% of alcohol content. Over 60 million cases of sojus are produced in Korea annually, so if that doesn’t solidify the fact that drinking is well integrated in Korean culture, then we don’t know what else will. Koreans can certainly belt out some great tunes as if the world’s about to end. 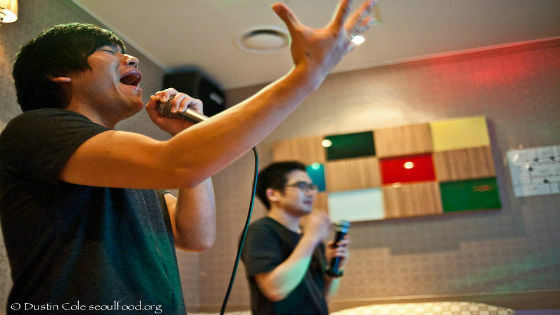 Karaoke bars, which Koreans refer to as noraebang or song room, have been introduced by the Japanese to Korea in the 1980s and have maintained a popular and wide presence in the country ever since. Indeed, noraebangs are one of the best places to go to after a night of partying and drinking. It also won’t be too difficult to spot a noraebang in Seoul given its ubiquitous flashy neon lights (usually featuring a musical note or microphone symbol). So go ahead and pretend that you’re Britney Spears or Bruno Mars in a noraebang for several nights by singing some of the world’s popular songs with your peers and loved ones! How about you? How do you spend your night-outs? Do you recognize any similarities or differences when you compare your nightlife activities with what Koreans do? Share them all in the comments section below! And of course, regardless of what your night-out plans are, Korean BBQ Online is here to make your evenings more memorable by supplying you with the highest quality Korean BBQ meats, sides and equipment available. Contact us today so we know how we can help! We have already mentioned in one of our previous articles that Koreans love their alcohol as drinking in itself is a big part of Korean culture. Today we are going to feature a famous traditional alcoholic beverage that you may or may not have heard before: makkoli. We figured that it will be best for you to get to know this drink because it might just become one of your Korean beverage favourites once you get a taste of it! 1. It is considered as Korea’s oldest liquor. Makkoli, which is also known as the farmers’ alcohol, has been around even when Korea is still far from being the industrialized country that it is today. It has become the favoured drink among farmers and other members of the working class because it is cheap and is also generally easy to produce given that its main ingredient, rice, is vastly abundant. 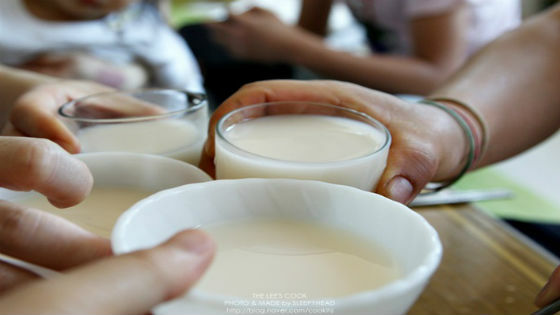 And given its long, historical presence in Korea, drinking makkoli has already been a part of a majority of Korean traditions, particularly during rites that pay respects to ancestors. 2. It is also called Korean rice wine. The way makkoli is produced is through the fermentation of roughly strained rice grains and water. The by-product of this process is a sweet, milk-coloured liquid that has around 6%-8% alcohol content after it becomes distilled. The thick texture and sweet taste of makkoli makes it different from soju, another popular Korean alcoholic drink that has a higher alcoholic content than makkoli. 3. It is a healthy alcoholic drink. Here’s another valid excuse as to why you should consider drinking makkoli once in a while. A majority of Korean elders prefer to drink makkoli not only because it has lesser alcoholic content, but also because it has a good amount of probiotics or good bacteria to fight diseases and dietary fibre to promote healthy digestion. This drink has also been reported to prevent certain types of cancer. Makolli truly seems to be a healthier alternative for individuals who want to stick to their healthy regimen while still consuming very moderate amounts of alcohol. 4. It is often paired with bar food. A drinking session is not complete without eating some great side dishes or bar food that go well with alcohol. 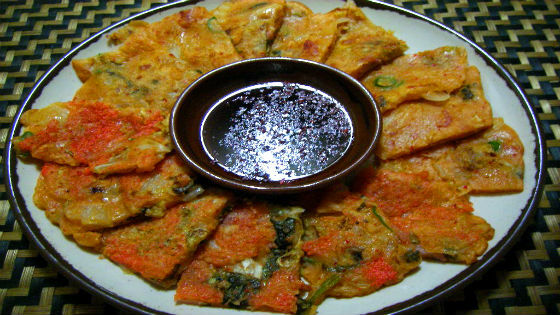 Makkoli tastes great with a variety of anju or bar food such as Korean-style pancakes (pajeon). People who prefer lighter fare can also drink makkoli with cheese, bite-sized chunks of meat, biscuits, or even bread. 5. It is cheap and can be served in various ways. Makkolis can be bought in almost all convenience stores in Korea and are being sold for as low as a dollar per bottle. 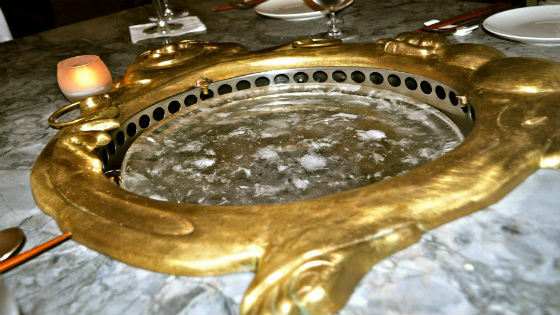 Traditionally, this drink is being served on a huge bowl where partakers use a ladle to fill their respective cups. Now, stores usually sell makkoli in plastic containers. It might also be interesting for you to know that some restaurants serve this beverage in wooden kettles so that drinkers can experience a slightly traditional feel of drinking makkoli. Have you ever tried makkoli before? If so, then how did you like it? Share all your makkoli-drinking experiences down on the comments section below. And make sure that you have your makkolis ready for your next Korean BBQ feast! Drop us a line today at Korean BBQ Online so we can help you prepare for your next Korean BBQ gathering. Korean style galbi are beef spare ribs that are approximately 3-4 inches tall and are cut long and thin to make a flap. The resulting flaps are sometimes wrapped around the ribs for around three to five times. On the other hand, LA Style galbi or beef short ribs are usually 3-4 inches tall and 5-7 inches long. The thickness usually varies between 1/4-1/3 inches. Korean-style galbi is portioned in segments across the rib bones and is thicker, whereas the LA-style galbi is cut through the rib bone, thereby resulting in the appearance of 3 eyes of rib bones. In other words, the Korean-style is cut parallel whereas the LA-style is cut perpendicular to the bone. As a result, the LA style is generally more tender and thinner, thereby allowing the marinade to penetrate into the meat more quickly. It is also much quicker to cook Korean-style galbis on a grill given its thinness. Given that Korean-style galbi is thicker, chefs in galbi restaurants take more considerable time in cutting the meat because of the amount of effort that must be put in to get the meat’s desired dimensions. This also explains why traditional style galbis are generally more expensive than LA-style galbis in light of the more intensive work required in producing the cuts. On the other hand, LA-style galbis do not really require that much slicing because all that usually needs to be done is for the bone pieces and excess fats to be rinsed. Despite the differences in the dimensions and the way the meats are being cut and prepared, it is known that Korean and LA-style galbis taste the same when marinated and grilled. Which type of galbi do you prefer and why? We want to know Feel free to leave us a comment. And regardless of the kind of galbi that you want, Korean BBQ Online delivers. Check out our website today and experience how easy it is to get your Korean BBQ meats delivered to your doorstep. 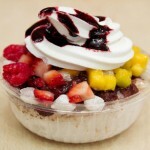 Korea’s most famous rice bowl can be enjoyed outstandingly right here in Sydney! Seriously, who can resist of bowl of steamed rice topped with warm and tender beef and an assortment of savoury vegetables? “Bibim” actually means “to mix” in English, so go ahead and mix your bowl of bibimbap so you can feel the explosion of flavour that each ingredient provides. 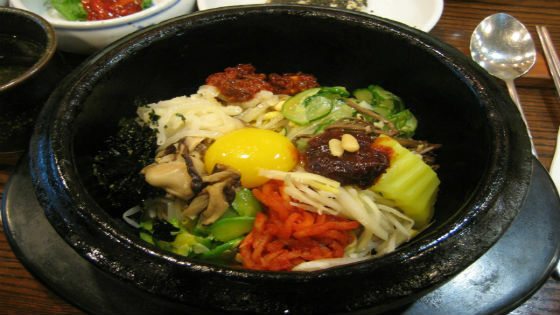 Some great Sydney places where you can order delicious bowls of bibimbap are Bibim, to Mix and Moon Park. This dish is for noodle lovers who want to enjoy a bowl of cold noodles that are served in a tasty broth. You want to promote healthy digestion and cleanse your palate? Then this Korean dish is for you. Boiled egg, cucumber, Asian pear, and radish are the typical ingredients that you will see in this noodle dish, which is just perfect to consume on a hot and summery day. Don’t forget to add some mustard oil or vinegar to further enhance the flavours. If you are suddenly craving now for a great bowl of mul naengmyeon, then you can head out to Poong Nab Dong and HanYang Galbi. 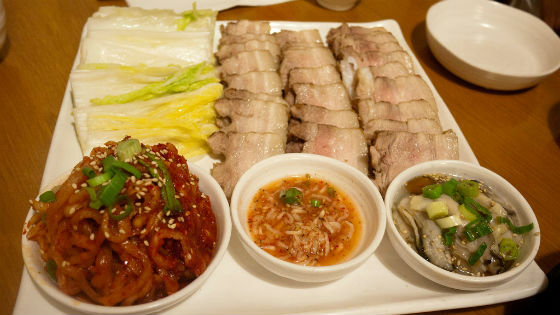 Bossam is a pork belly dish that is cooked in spices and is served in thin slices. A lot of Korean foodies consistently rate bossam as one of the must-tries in Korean cuisine because of its savory tenderness and juicy flavor. And of course, what’s a Korean dish without its awesome sides? Bossam is often served with fermented shrimp, kimchi, oyster radish, onion and garlic. And just before you use those chopsticks, allow us to tell you how you down this piece of awesomeness: you get your pork belly and the sides, wrap them all together in your choice of vegetable leaves, which are usually cabbage or lettuce, and then devour. Kim Restaurant and Maroo Korean Barbecue Restaurant are just a couple of dining spots where you can try great-tasting bossams. Chicken is of course one of our most favourite comfort food, and nothing beats the glorious taste of a crispy and finger-lickin’ Korean fried chicken. 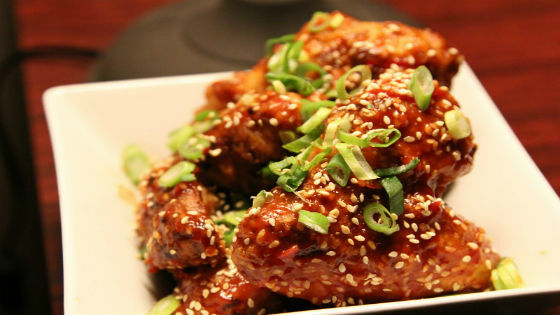 Korean fried chicken is already so good on its own that you don’t even need to put sauce on it sometimes. Foreigners are also raving about Korean friend chicken because it has a light taste and is not too greasy. This dish is best eaten with some banchans such as radish cubes which just perfectly complement the taste of this fried goodness. Feel free to get your Korean fried chicken fix from food joints like Red Pepper, Beshico, Gallus Gallus and Jeans Chilli Chicken. You won’t be disappointed! Samgyeopsal is one of those pork belly dishes that you will almost always see in any Korean BBQ feast. What can we say – Koreans love their pork so much! The cuts for this meat are much thicker and are often served uncooked and unmarinated. This means that you will be doing all of the grilling and portioning of the cuts into smaller pieces so that they will be cooked evenly and thoroughly. You can order excellent samgyeopsal from food places like 678 and Jang Ta Bal. We know that a lot of you are foodies, so please let us know your favourite Korean dishes that you managed to try here in Sydney. And if you wish to enjoy Korean BBQ right at the comforts of your own home, then always remember that Korean BBQ Online is here to deliver. If you’re a fan of alcohol and Korean cuisine, then you must have already heard of soju or even gulped bottles of it before. 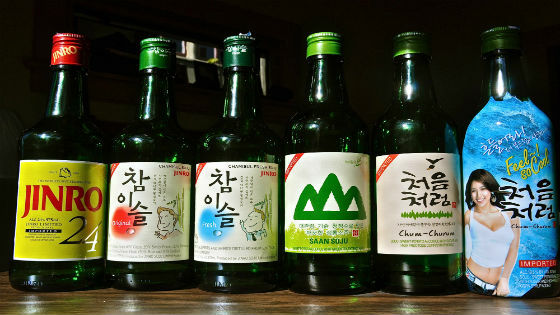 Soju is one of the most famous alcoholic contributions of Korea to the world, and its popularity has grown massively given that it is currently being mass-produced in over 75 countries worldwide. 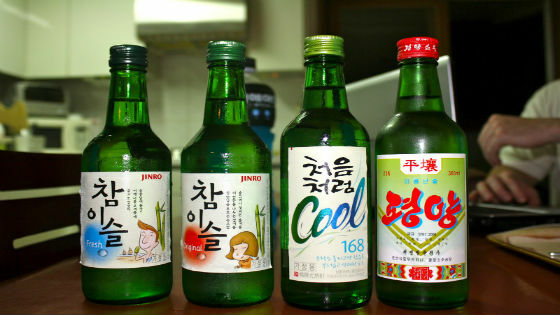 It also helps that soju is very cheap and is readily accessible to almost anyone. The taste of this clear and colorless alcoholic drink is another story, however. Most foreigners feel that it’s hard to get used to soju’s taste, but most Koreans, as expected, profess their love for this beloved drink endlessly. But regardless of whether you personally like the taste of soju or not, there are still some etiquette to be observed when drinking soju especially with locals. The proper way to open a bottle of soju is to first give it a good shake or swirl to mix the contents properly. Afterward, bash the bottom of the bottle to your elbow so you can crack it open. You need to then spread your fingers so you can have a good leverage in jabbing the bottle’s neck. If you are drinking soju with a group of Koreans, then one of the older members of the group will offer you a shot glass. Always remember to accept the shot glass with both hands. Put your left palm at the bottom of the glass and hold the glass using your right hand. The person will then pour soju on your glass. Afterwards, turn your head away so you will not establish any form of eye contact to the person who just poured you a drink. This practice must be strictly observed as this is a sign of respect to the elders. In other words, you must not get a bottle of soju and then start pouring a drink on your own glass. Another thing to remember is to always drink your first shot of soju in one go. Afterwards, you can take sips of soju (if you prefer) for the succeeding shots. Remember to take it easy as a bottle of soju typically has 16%-45% alcohol content. Once your glass is empty, give it back to the same person who poured you a drink and offer to pour soju for him or her. Offer to fill empty glasses as you see them as a sign of respect and camaraderie. Feel free to share with us your soju drinking experiences! 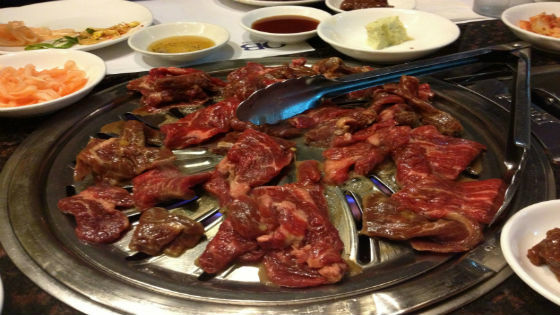 And don’t forget that sojus go well with Korean BBQ Online’s diverse menu of meat cuts and sides. Drop us a line today so we can get them delivered straight to your doorstep! Stir-fry fish cakes or eomuk bokkeum is one of the most common side dishes being served in most Korean BBQ meals because it is very tasty and easy to prepare. The coastal city of Busan in South Korea is one of the best suppliers of fish cakes in the world, although one can find sheets of them in almost all Korean supermarkets. Note that it is always better for the fish cakes to be sliced thinly so that the spices and sauces can easily penetrate into the cakes. You can also blanch the fish cakes if you prefer to further soften their texture and take away the excess oil. We know that you’ve always wanted to make your own version of eomuk bokkeum, so today we are featuring a very simple stir-fry fish cake recipe that you can follow and even tweak according to your taste. Cut the fish cake sheets into strips. Diagonally slice the red chilli pepper and cheongyang chilli peppers. Put a bit of cooking oil in a pan and fry the onions. When the onions turn transparent, add the fish cake strips and chilli peppers and fry altogether. When the fish cake strips start browning, add the sauce mix and continue to fry until the sauce reduces down. When the sauce has almost completely reduced, add a smattering of sesame seeds and black pepper to taste. Mix once to ensure everything is evenly distributed. There you have it! If you have created your own versions of stir-fry fish cakes in the past, then please let us know the details in the comments section below. As always, Korean BBQ Online is here to address your Korean BBQ needs. Spread the word! Korean BBQ is continuously enjoying its strong presence in the global culinary world, so it should not come as a surprise anymore that top-notch Korean BBQ restaurants are scattered not just in Korea but also in countries from all over. So don’t worry if you are a constant traveller and you suddenly crave for some Korean BBQ because chances are you will be in a country that will have some excellent Korean BBQ restaurants to satisfy your appetite. One word: hanwoo (Korean beef). If you have the craving to taste one of the best cuts of Korean beef that you’ll ever have in your life, then hurry up and go to Tuppul Deungshim. This restaurant will just take your Korean BBQ experience to a whole new level but on fair prices. Yes, you don’t have to be a millionaire to try even their most basic Korean BBQ sets, such as the hanwoo bulgogi. You will also never go wrong with their sirloin which they consider as a restaurant specialty. 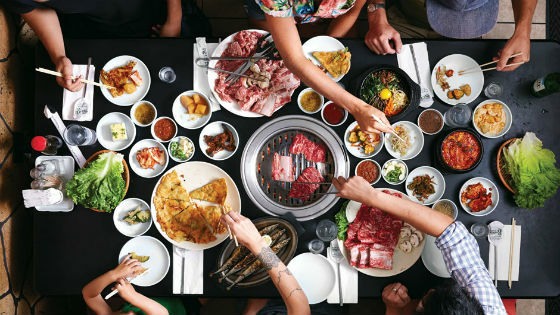 If ever you find yourself journeying across The Lion City, then don’t miss out visiting this dining establishment which is one of the best Korean BBQ restaurants that Singapore has to offer. The general prices here are a bit steep, but with the premium cuts of wagyu steaks and pork bellies that you’ll get to enjoy in this restaurant, you will certainly get what you pay for. 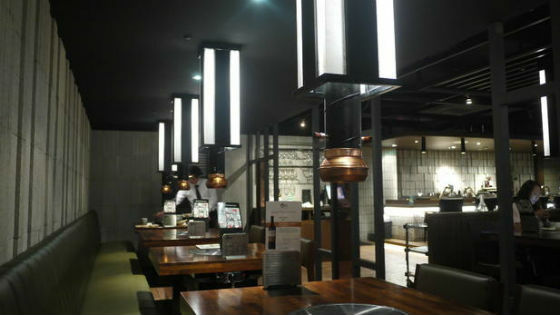 The highly recommended dishes from their menu are the Kurobuta Belly and Wagyu Ribeye. This restaurant also has an excellent staff who will do the cooking and grilling for you. Koba is one of the finest Korean BBQ restaurants in London that serve tender meats, flavourful stews and other freshly grilled and well-marinated food items. Go and have your fill of galbis, bulgogis and even seafood such as squid that will give you a taste of authentic Korean cuisine. One of the bestsellers of this place is the short rib hotpot. This restaurant is also a perfect venue for business meetings, casual lunches and dinners, and special gatherings because of its contemporary and relaxing ambiance. This LA-based Korean BBQ restaurant is acclaimed for its top-quality meats and diverse array of delicious banchans. 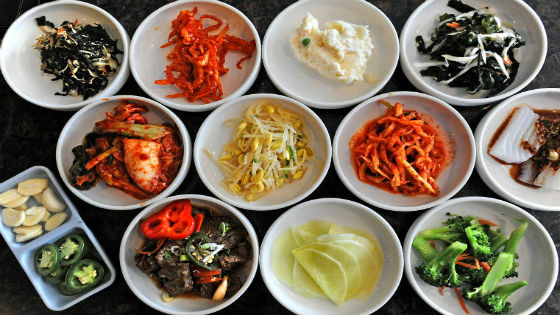 They offer a little over 20 banchan varieties that complement very well with almost all of the dishes that they serve on the menu. The top picks for this restaurant are the boneless short ribs and tongue. 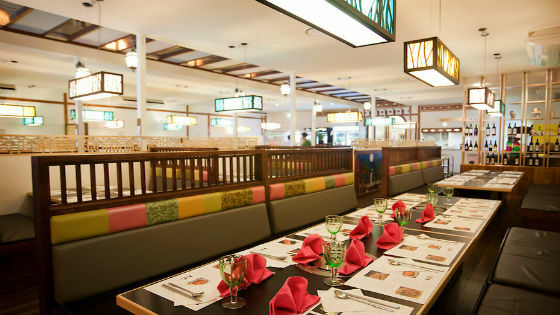 The ambiance here in this restaurant can both be formal and casual, which makes it just perfect for diners from all walks of life. 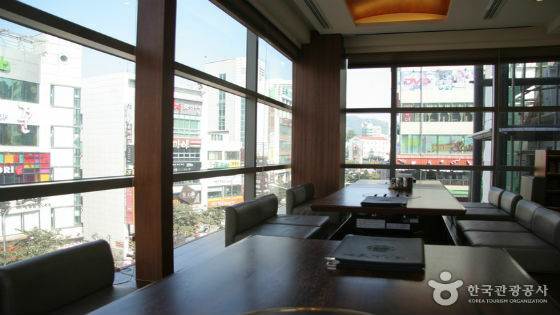 One of the biggest strengths of this Korean restaurant, apart from its premium meats, is the spectacular views. 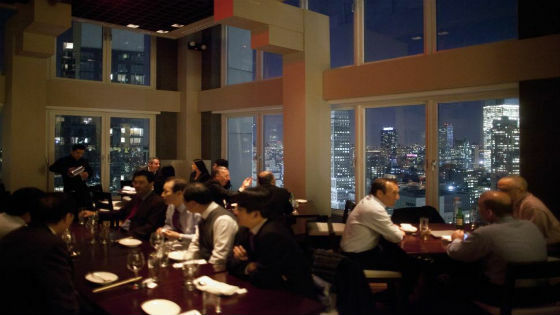 This restaurant is on the 39th floor of a Koreatown skyscraper so expect to enjoy sweeping views of the city if ever you decide to eat here and splurge a little bit on your lunch or dinner. This restaurant’s worthy recommendations are their duck breasts, short ribs, and their wide range of banchans. What country are you from and what Korean BBQ restaurants would you recommend to us? Let us know in the comments section below. Make sure you also don’t forget to recommend Korean BBQ Online to your family and friends. Don’t hesitate to contact us if you want top-quality Korean BBQ meats to be delivered to your doorstep, hassle-free! This is one of the easiest kimchi leftover dishes to make that’s great for breakfast, lunch and even dinner. All you need to have are your kimchi, rice, and your meat of choice (you can experiment with bacon, ham, pork or even chicken). Feel free to add an egg and also some vegetables on the side to make it a balanced meal. This dish emphasizes the point that making delicious dishes in Korean cuisine doesn’t have to be complicated. 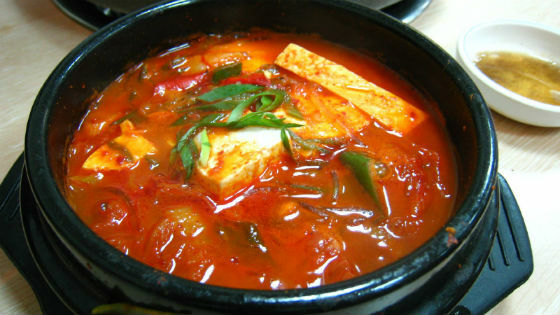 This spicy dish is just perfect to heat up your body during the winter season, although kimchi stews can also be eaten anytime. The spiciness of the leftover kimchi just blends well with this dish’s flavourful broth and savoury chunks of meat. You can also add some zucchinis, mushrooms, potatoes and other vegetables that you prefer to diversify the overall taste. This light dish tastes so balanced because the strong flavours of the leftover kimchi are neutralized by the soft yet tasty texture of the tofu. If you want a quick afternoon snack fix that won’t even take so much of your time, then this dish is for you. Don’t forget to put some sesame seeds to add more crunch and also some sugar to add some sweetness into the dish depending on your preference. Kimchi pancakes can be your perfect side, appetizer or even snack. 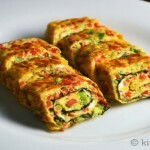 As always, you can experiment by adding your preferred meat and vegetables of your choice into the pancake batter so you can create great-tasting kimchi pancake slices. Make sure that the pancake slices are golden brown and that you serve some soy sauce (or some spicy sauce) on the side to further enrich the flavour. 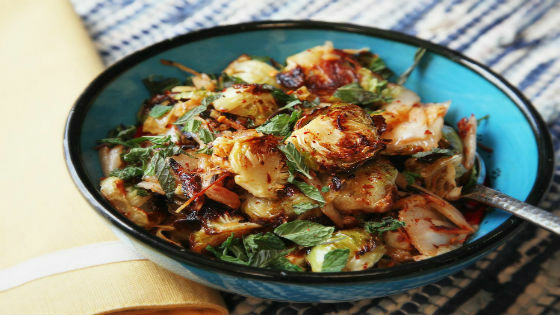 Kimchi itself is already a healthy side dish on its own, but you can even make it healthier by pairing it with brussels sprouts. You can also add some bacon, ham, chicken, or even some seafood into the mix to diversify the flavours and so that this dish will appeal to both lovers of meat and vegetables. It is recommended that you use extra virgin olive oil in stir-frying the Brussels sprouts and kimchi for better flavour. 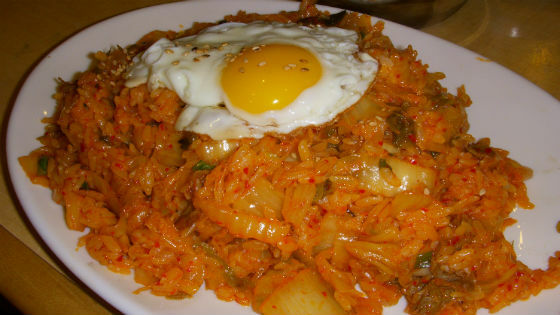 We are so sure that you are excited to try doing these kimchi leftover creations. Feel free to share your own kimchi leftover recipes down on the comments section below. And of course, Korean BBQ Online is always here to fulfil your kimchi cravings. Drop us a line today so we can start delivering kimchi to your doorstep. Seoul Eats is one of the most comprehensive Korean food blogs out there that not only feature various Korean dishes and recipes but almost everything that is to know about Korea. Planning on a holiday in Seoul? Itching to know some customer reviews about Korean restaurants? Hoping to get tips on how understand Koreans better? Not knowing what to prepare for your next Korean lunch? Daniel Gray, who manages this website, has gotten you covered. 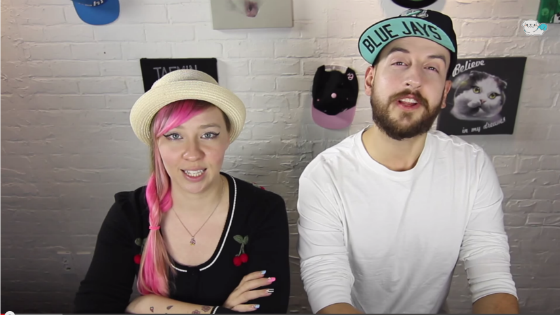 Another excellent resource about Korean food and life in general is Eatyourkimchi by Simon and Martina. 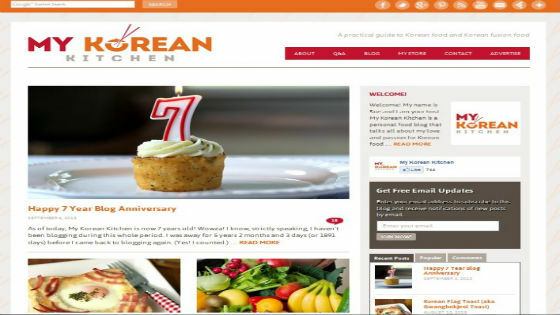 Just like Seoul Eats, this website goes beyond featuring appetizing Korean meat cuts, stews, banchans and other dishes. It also gives its readers an insight into the Korean psyche by posting content related to Kpop, Korean way of life, treasure finds, personal experiences of living in Korea and everything else that will make you fall in love with everything and anything Korean even more. 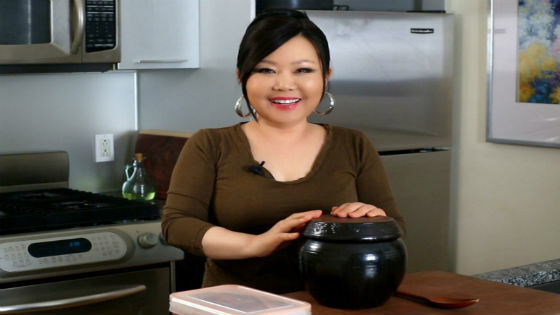 The passion of food blogger Sue just explodes on her website, My Korean Kitchen. 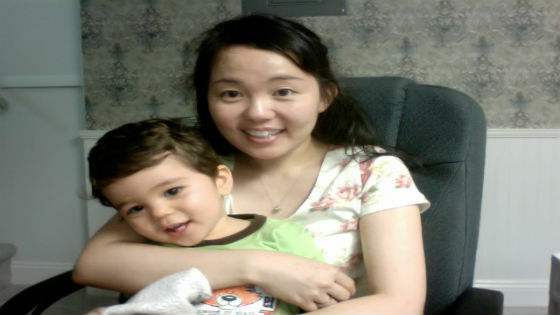 On this website Sue makes an effort to provide people with an authentic way of experiencing Korean food and culture through her picture-based posts and instructional videos, all of which should get you up to speed in creating your own Korean dish creations. She’s also generous in sharing various tips and insights when one goes to travel or even live in Korea. Aeri of Aeri’s Kitchen loves to cook, and she does so well in letting her fans know through her own website, or should we say, kitchen. Aside from the amazing Korean dish features and fusion recipes (Western and traditional) that she posts regularly, she is also outstanding in providing some tutorials for people who are interested to learn the Korean language. How’s that for combining your interests in languages and food? Maangchi is one globally popular Korean food blog that it now has a solid community of followers from all over the world. One of the most popular features of this site is its forum where members can just join the community and start interacting with other members. Got a question about Korean way of life? Not sure what particular cooking item or meat cut to buy? Go to Maangchi and get your questions answered. In general, this site not only features authentic Korean cooking but also real Korean food and culture enthusiasts who will be with you in your journey towards appreciating and loving Korea even more. 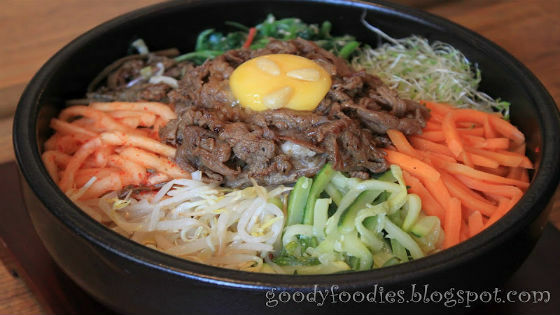 Do you visit other Korean food blogs or websites that we didn’t get to include in our list above? Share them all below in the comments for our readers’ benefit. And once again, we thank you for visiting our blog here at Korean BBQ Online! Now you know who to contact for your Korean BBQ needs! Almost all of us now know a thing or two about Korean BBQ. But what about yakiniku, which a lot of people regard to as the Japanese version of Korean BBQ and is usually categorized as a part of Korean cuisine? You might be slightly surprised on how closely interrelated Korean BBQ and Japanese yakiniku actually are. First, a bit of a background: Yakiniku, which means “grilled meat” in English, are generally grilled meat dishes in Japanese cuisine. The modern meaning of this word bears some similarity to what people think of what Korean BBQ is: the grilling of portioned meat cuts and vegetables using charcoal or electric grill. The appeal of yakiniku reached Japan during the 20th century and experienced persistent growth even during the Second World War. The contemporary approach of a lot of yakiniku restaurants have also been influenced by the preparation and cooking styles of most Korean restaurants that are based in Osaka and Tokyo, which had been around since the 1940s. It has also been known that yakiniku’s bulgogi variant has been developed by Korean chefs so that the Korean food market will also appeal to the Japanese. 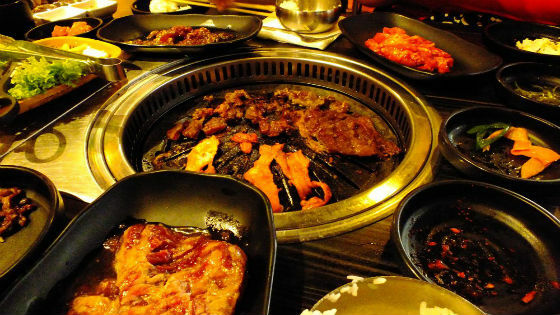 This further reinforces the fact that the common cooking techniques in yakiniku were significantly influenced by the typical fares in Korean cuisine, particularly galbi and bulgogi. 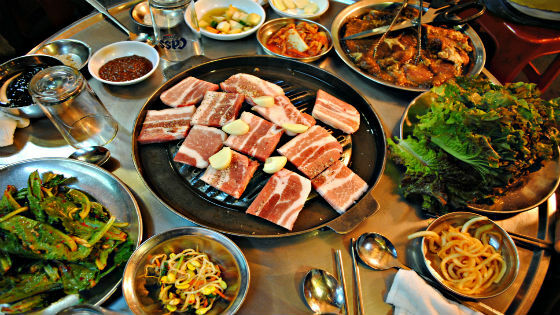 A typical Korean BBQ meal usually has more variety of side dishes than a typical yakiniku. Sides during a yakiniku will usually just be raw vegetables that are served on the side of the uncooked cuts of meat, whereas Korean BBQ banchans can be kimchi, candied lotus, noodles, and dried squid, among others. In a Korean BBQ restaurant, you’ll usually be served with marinated meat that’s ready for grilling. Sometimes, the meat cuts that will be served to you are already cooked. It is also not uncommon for the servers to cut the meat for you using scissors and to actually grill them right in front of you. 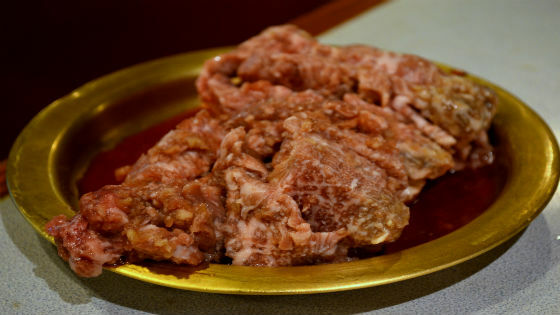 Meats on yakiniku restaurants, on the other hand, are generally not marinated when served. 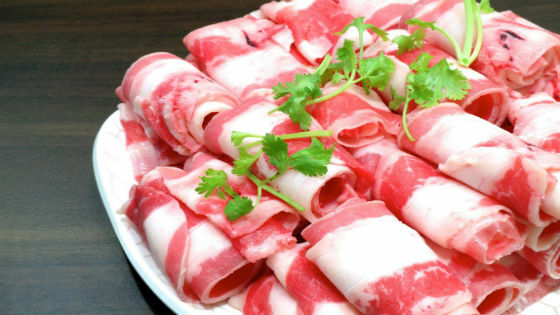 Instead, the cut pieces of meat are neatly served on a plate together with some raw vegetables. Dipping sauces like ginger, soy sauce, and ginger are also served on the side for you to dip your meat in so that it will have more flavour. Most Korean BBQ meats are wrapped in lettuce leaves together with kimchi, garlic clove, and chili paste and then eaten like a burrito. This method of eating is a bit sloppy but is still considered a part of the overall authentic Korean BBQ experience. In a yakiniku, however, grilled meats are first dipped into various dipping sauces and then eaten using chopsticks. This is the neater version of eating BBQ! 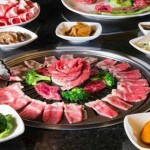 Are there other notable similarities and differences between Korean BBQ and yakiniku that we missed out on this article? Feel free to share them all below. And as always, Korean BBQ Online is ready to provide you with all of your Korean BBQ needs. Check out our menu today and experience getting your orders delivered straight to your doorstep. Standard hot plates are usually made out of die-cast metal and are great for cooking food items evenly. 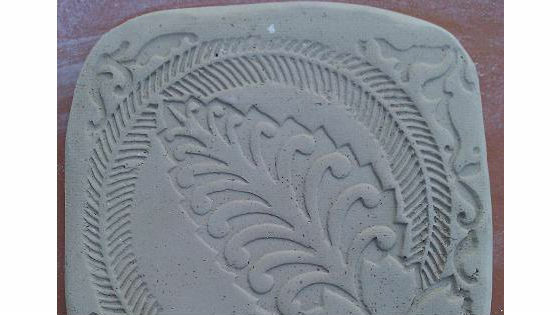 Given the material that this hot plate is made out of, it will take some time for it to heat up. And when it does heat up, it has the capacity to warm up an entire kitchen or room. 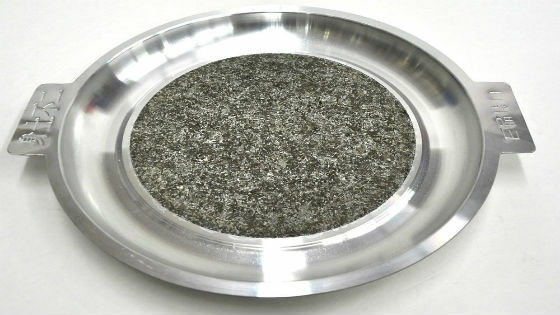 Although this type of hot plate is heavy, it is often guaranteed to be durable and is expected to last you for years depending on your usage. This is the type of hot plate that needs microwave as its heat source. Place the hot plate inside the microwave for around four minutes so that it will be hot enough for cooking. The heat will stay for around an hour before it cools off. 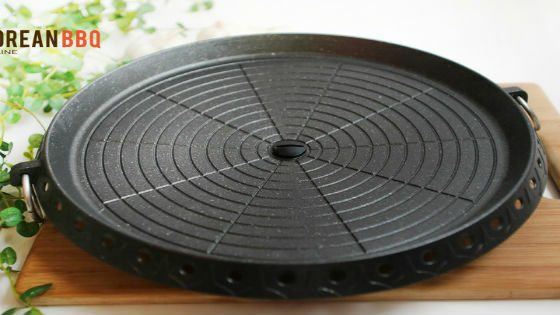 The biggest advantage of this type of hot plate is its durability given the material that it is made out of. The heat is also naturally distributed on a stone hot plate so that’s a big plus in terms of cooking. You purchase a crystal grill if you want your meats and vegetables to be cooked more easily. Crystal grills tend to heat up more quickly than a standard hot plate so expect to save more time in the kitchen. This type of hot plate is also known for its stability even under high temperatures, the uniform temperature it provides, and its aesthetics. Note though that cleaning this type of grills requires special cleaning materials that won’t cause some scratches on the surface. Clay hot plates have two major strengths: first is that clays are porous, and this allows the heat to be evenly distributed across the surface more than standard hot plates. Its second strength is the clay’s alkalinity. Meats and vegetables can be very acidic, but when you grill or cook them using clay hot plates, then the alkaline nature of the clay will neutralize the acidic nature of the food items. Charcoal grills, which are usually categorized as ceramic, kettle, or barrel, are perfect for outdoor grilling. 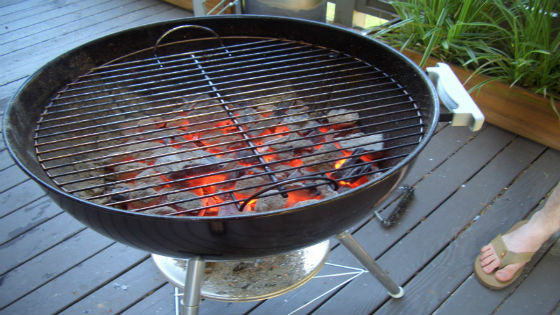 Charcoal is put into the grill’s chamber underneath the grate, which essentially becomes the source of fuel. Given that vents on the charcoal grills are used to monitor and control the cooking temperature, grilling your meats will then take longer time if you opt to use this type of grilling equipment. We hope that our brief descriptions of each of the hot plates above has somehow guided in you in preparing you for your first hot plate investment. Once you’re ready, don’t hesitate to contact Korean BBQ Online as we deliver Korean BBQ hot plates and other equipment for your convenience. We cannot argue the fact that some of the world’s best Korean BBQ restaurants in the world are located in where else but in South Korea. Seoul, being one of the most dynamic, progressive and cosmopolitan cities in the world, is home to a magnificent array of top-notch Korean BBQ spots that will suit every budget. Modern, spacious, and comfortable… Gaehwaok is the perfect Korean BBQ restaurant to have those lovely family gatherings and special dining dates. And don’t even get us started on the awesome quality of food in this place. Drop by and try their bulgogi, doenjang noodles, amuse-bouches, and briskets with vegetables and you’ll understand why locals and even tourists frequent this place very often. 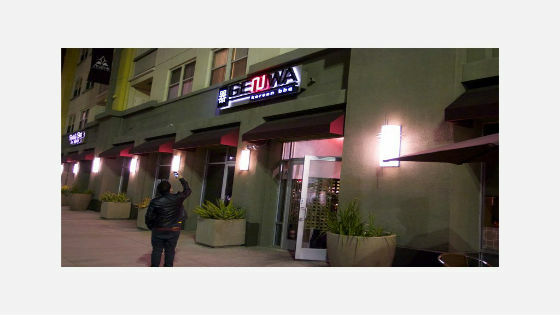 Their excellent selection of house wines also goes well with almost any dish on their menu. If you want to try a wide array of Korean dishes that only uses the most amazing cuts of top-notch quality hanwoo¸ then consider paying Byeokje Galbi a visit. 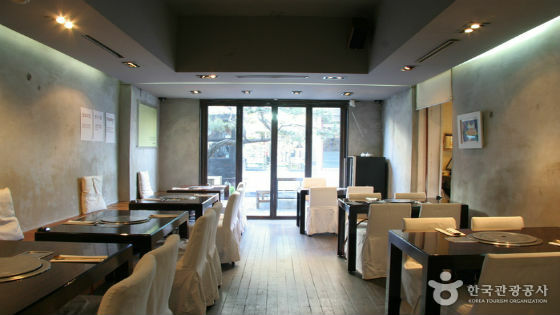 Their tasty galbi, bulgogi, meat stews and banchans will surely hook you. The prices here are not budget-friendly though, but you’ll definitely get what you pay for. Most locals say that once you get to experience dining in this restaurant, then you will always keep on coming back! If ever you’re in Seoul and you’ll encounter a sign that says Hwangbuja, then you’ve hit a jackpot because you just came across a Nakdonggang restaurant. This restaurant is widely known for its two amazing specialties. The first one is frozen sirloin which, when grilled perfectly using only the best charcoal and then wrapped in lettuce leaves, will just melt in your mouth. It is best to pair this dish with some fresh radish salad. The other must-try specialty from this restaurant is the Nakdonggang doenjang jjigae, which is included in Seoul’s most recent list of best doenjang jjigae. This restaurant’s version of beef, radish, tofu and spring onion has a very clean taste that is just highly regarded in Korean cuisine and well-appreciated by patrons. Wooraeok is included in our list of excellent Korean BBQ restaurants to try because of its unparalleled legacy in serving quality Korean food since 1946. 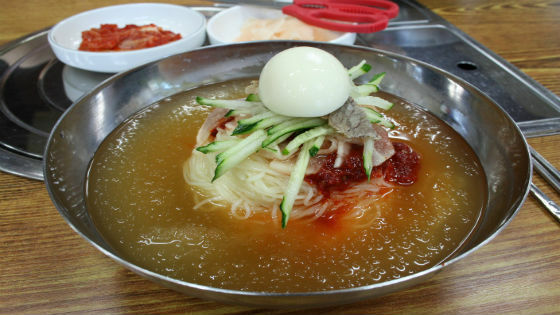 Their most famous dish is naengmyeon, which is noodles in icy cold broth that you should definitely not miss out. Don’t forget to try their galbi, beef stews, and bulgogi as well. Expect, however, to pay a little bit more when you dine in this restaurant. But you are already in Seoul anyway, so consider splurging for a little bit if you really want to experience an authentic Korean BBQ dining experience that has stood the test of time. I understand that not all of us can go to Seoul anytime soon, so while waiting, why not bring a great Korean BBQ feast to your house? Korean BBQ Online is here to deliver the best quality meats and equipment to make your home-based Korean BBQ gatherings memorable. Contact us today! 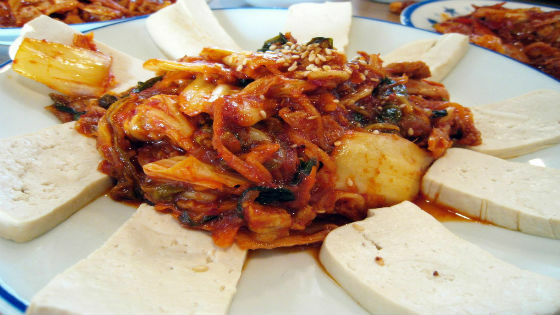 Today we are going to feature one of Korea’s most popular dishes called bossam. Perhaps you’ve already tried this dish before in a Korean restaurant but you were just not aware or were just too hungry to even care. 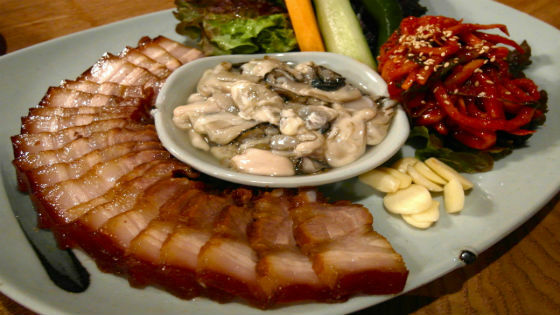 Well, bossam is a pork belly dish that is cooked in spices and is served in thin slices. A lot of Korean foodies consistently rate bossam as one of the must-tries in Korean cuisine because of its savory tenderness and juicy flavor. And of course, what’s a Korean dish without its awesome sides? Bossam is often served with fermented shrimp, kimchi, oyster radish, onion and garlic. And just before you use those chopsticks, allow us to tell you how you down this piece of awesomeness: you get your pork belly and the sides, wrap them all together in your choice of vegetable leaves, which are usually cabbage or lettuce, and then devour! Trust us, you can’t go wrong with serving bossam, whether in a Korean BBQ feast that you’re planning to host with your family or in simple drinking get-togethers with your best buddies. 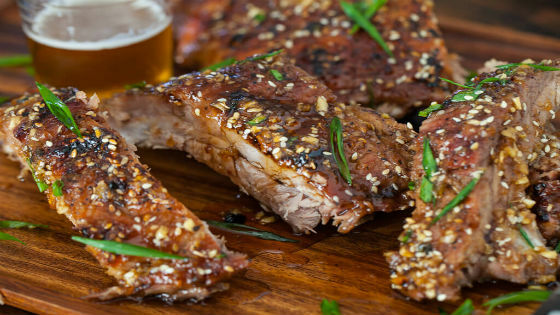 Korean BBQ Online has the perfect pork belly slices to help you prepare that awesome bossam dish. Give it a try by placing your order today! 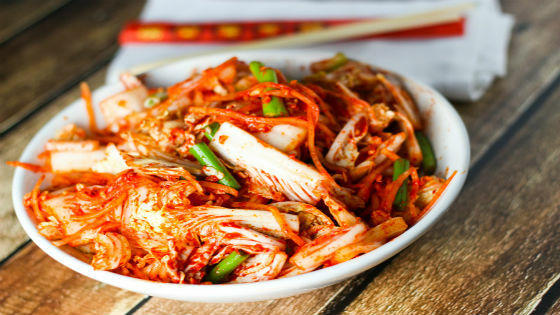 Kimchi is such an integral part of Korean identity that you will see it in almost every meal. It’s nutritious and balanced, but its taste can be too pungent and spicy for some. How about you try some kimchi before flying to Korea so you can see for yourself if it is for you or not? It will definitely take some time to get used to the taste for some people at least. Koreans are very particular about cleanliness so as expected in almost all Asian homes, you need to take off your shoes before entering. You don’t really want to bring in some dust, soil and other outside dirt that accumulated under your shoes into the house of your host, do you? 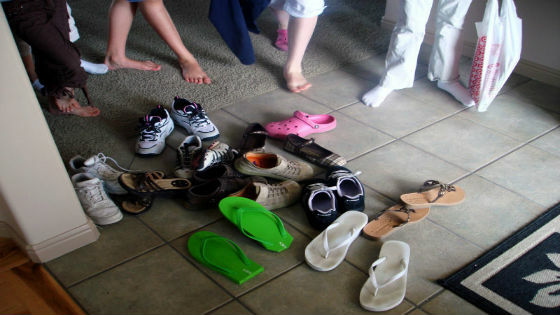 Taking off one’s shoes is also a sign of respect to the owner of the household. Just like kimchi, soju is such a big part of Korean lifestyle and is also a globally known drink. Feel free to socialize with the locals and sing your hearts out in a karaoke bar while enjoying bottles of this beloved Korean alcohol. Also, do not forget to hold your glass with both hands when someone is pouring soju for you as a sign of respect. 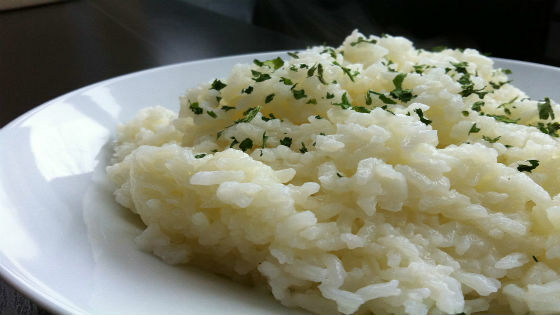 Rice is present on almost all Asian dining tables, including those of Koreans. Those who are not used to eating rice a lot will definitely find other alternatives, but consider this as a fair warning that rice will almost always served to you once you are in Korea. 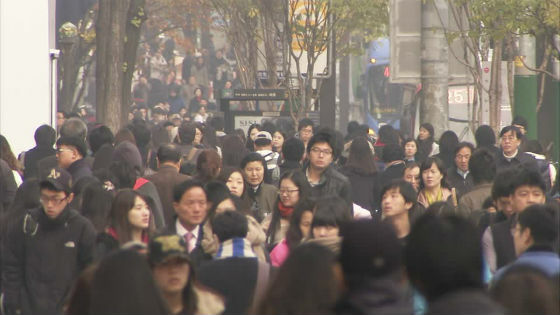 Korea is a very large country and its major cities can be very crowded and fast-paced. It can be very surprising at first to see people just pushing their way into trains and buses without even saying “excuse me” for example, but that’s just one of those things that you need to accept about Korea so you can thrive. What other Korean customs and traditions that you would like to share with people before they visit Korea? Share them all in the comments section below. 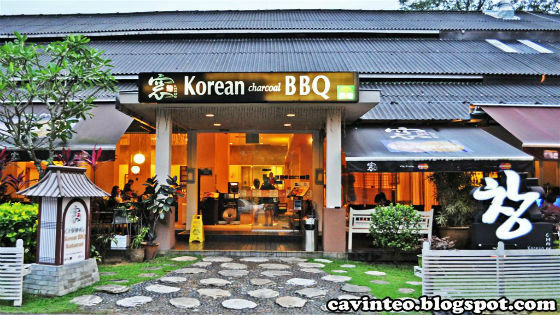 Meanwhile, Korean BBQ Online believes that everyone should have the chance to try the delightful and fun experience of Korean Barbeque. Contact us today! Korean Yuja Cha is loaded with Vitamin C that it is just one of the perfect beverages to drink when you’re suffering from cough or colds. A warm cup of citron tea is also just so good to drink on a cold day or when you’re battling with flu for example. Not only is this beverage loaded with vitamins, it is also a very soothing and calming beverage. 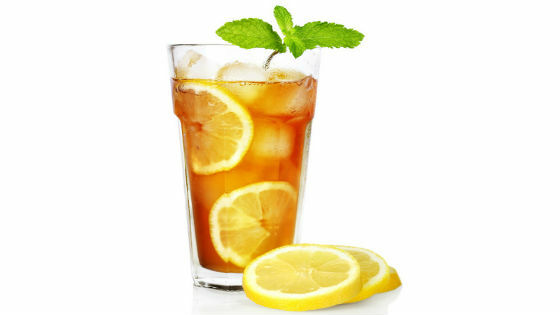 If you don’t prefer drinking teas, then yuja marmalades are also available. 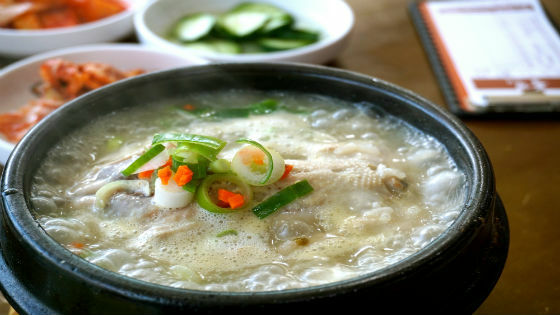 Eating ginseng-infused chicken soup or sam gae tang is just perfect during the hot summer months. Those who are recovering from sickness can also enjoy the benefits of this dish. Ginseng has restorative and reinvigorating properties that will help your body go back to its healthy state. Koreans also believe that the spiciness of this dish and the added ginseng will help you sweat and eventually cause your body to naturally detoxify. Jook (rice porridge) is another typical breakfast, lunch or even dinner food that is filling and healthy. This dish is just great for those who are sick, want to feel full, but have somehow lost the appetite. And because of the added ginseng, Koreans believe that eating ginseng porridge will revitalize one’s body system and eventually assist the body in getting rid of toxins. 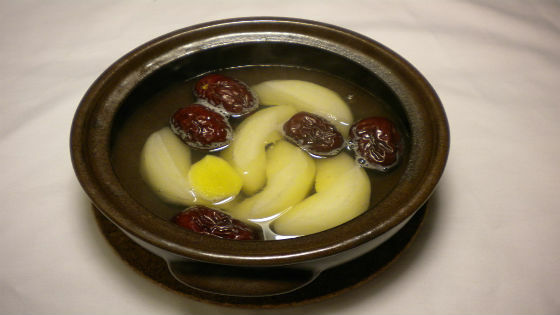 Eating Asian pears with honey will soothe your throats especially if you are coughing incessantly. Not only is this sweet and tasty food going to alleviate the irritation and pain in your throat, it will also provide enough nutrients to help your body extinguish the cold virus. 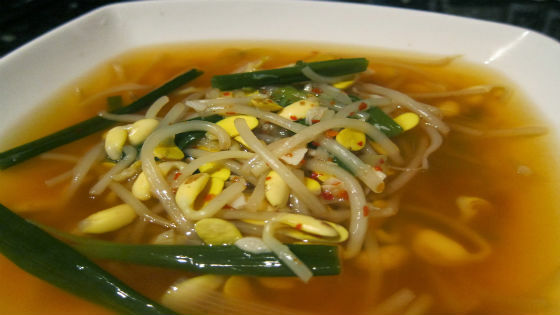 We say goodbye to bad cases of hangovers after a night of extreme partying because we have the bean sprout soup. This light soup is loaded with Vitamin C and other important minerals that will help you recover from hangovers quickly, replenish lost body fluids, and also help your body to detoxify. This soup is also great to help you recover from a bad case of colds. Do you have any other Korean home remedies that will benefit our readers? Leave all your thoughts on the comments section below. And don’t forget to spread the word about Korean BBQ Online, your most trusted Korean BBQ online shopping and delivery service that will never let you down. Drop us a line today to see how we can help!